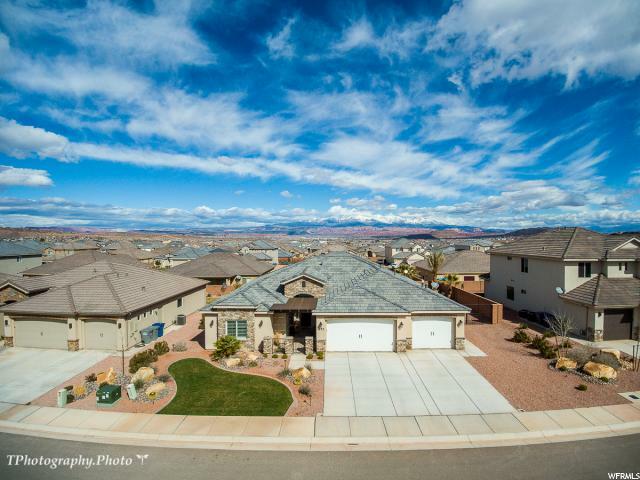 All REDWOOD ESTATES homes currently listed for sale in St. George as of 04/19/2019 are shown below. You can change the search criteria at any time by pressing the 'Change Search' button below. "THE undisputed finest custom built Ence Homes in Redwood Estates. OOOOZZZING w/impeccable upgrades with over $150k extra spent at the Ence Design Center. It has ''this'' and ''this'' and ''this'' and ''that'' EVERYTHING on your wants and needs list is found inside and outside. Room for pool and plumbed for such. The back patio doors slide ALL THE WAY through onto patio. RV parking on side too. Expanded design from original plan to make every room larger and more usable rather than tight and uncomfortable. Come join the MANY who are calling Little Valley home!! "